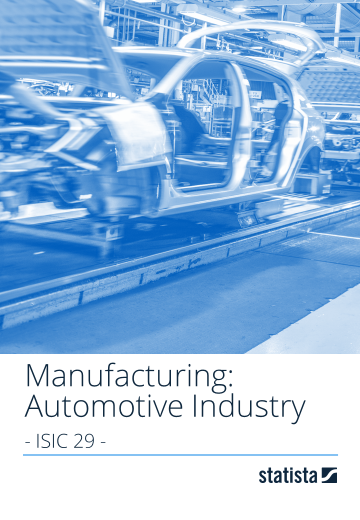 The "Manufacturing: Automotive Industry" Industry Report by Statista consolidates the most important industry information from a global perspective. It highlights essential and valuable data regarding the status quo and trajectory of the industry, with forecasts up the year 2022. The management summary and key figures provide a shortcut to a comprehensive overview of the latest industry developments. Moreover, financial numbers including performance indicators, company information on global industry leaders, as well as employee and salary data presented in a clear-cut form represent a solid knowledge base for bench marking and industry insights. There are 36 Global Industry Reports covering a wide range of industries, among them "Construction", "Arts, Entertainment & Recreation", and "Banking & Finance". An overview of all available Industry Reports can be found here.